Learn how to design jewelry as you master the art of the "Proper Way" to string & crimp . Part of design is how your necklace will lay. Have a hard time what are the "Real gemstones & the Fake ? Want to learn how to Pearl Knot but was afraid ? Don't know how to clean or store your pearls ? What materials do I use to String or Knot ? You"ll learn all this & more in this class! 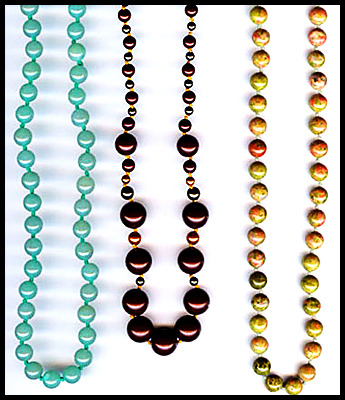 Kit Includes: Enough pearls for a knotted bracelet, glue, knot cups, thread, toggle & more! Bead stringing kit includes glass beads, spacers, crystals, charm, crimps, jump rings toggle & more! You will leave with 2 bracelets. There will be color choices available!